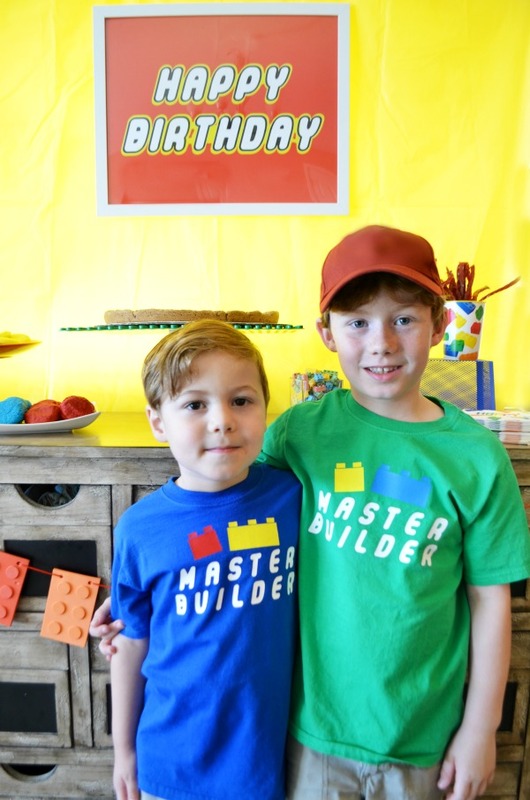 We were so excited to host a LEGO birthday party for the boys last month. Any day of the week our house looks like a LEGO warehouse was setup in our living room. There are boxes, pieces, and mini-figures strewn about the whole house. Anytime they have spare change they quickly turn it into a LEGO purchase. These boys are absolutely LEGO enthusiasts, so it’s no surprise they jumped right on the idea when I suggested LEGO as a birthday theme. Right now you can find LEGO Ninjago shirts almost anywhere, but I wanted something more generic for the party. 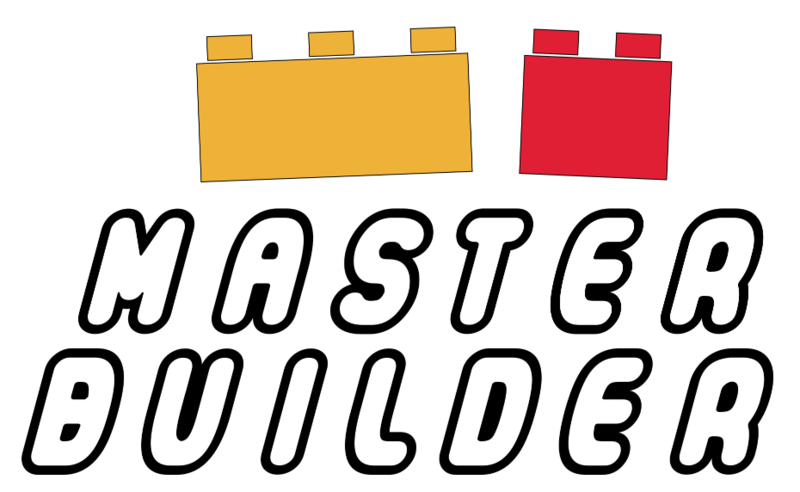 I landed on a LEGO Master Builder Shirt design. It was easy to put together with a LEGO inspired font and some rectangles strategically placed to resemble bricks. The process of creating the shirts is really easy with the right supplies. Use your Cricut to cut out the bricks and Master Builder text. Position the text and bricks on your shirt. Set your shirt with the design on top of a folded towel. Believe me from multiple trial and errors, you will get the best results with this method. An ironing board lets too much heat escape and your design won’t adhere. 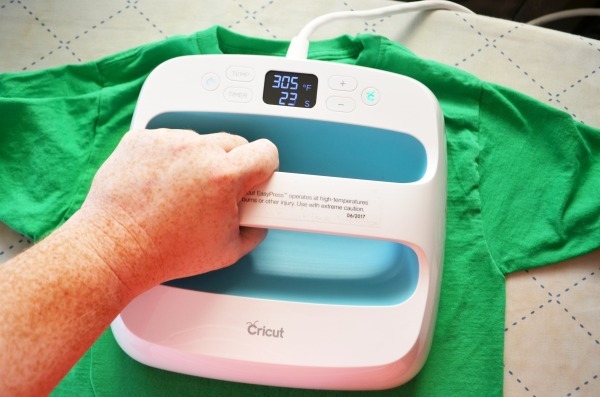 Set the Cricut Easy Press to the recommended temperature and time for your variety of heat transfer vinyl. My favorite features are the countdown and audible beep AND how quickly it comes to temperature. With light pressure place the Easy Press over the design and press the Cricut logo to start the countdown. Allow it to cool slightly before removing the plastic transfer film. 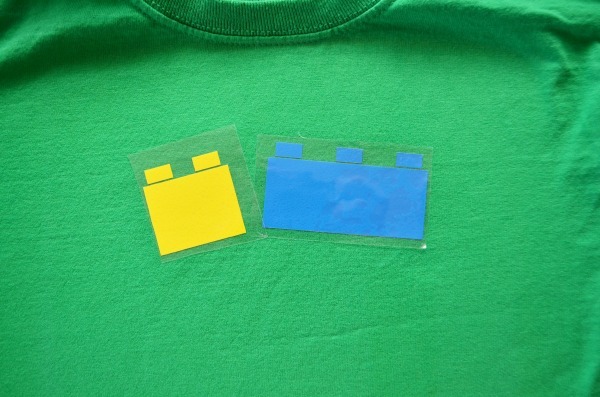 These are such an easy addition to a LEGO birthday party. We had 2 very excited birthday boys. Because they are generic they can continue wearing them everyday too!